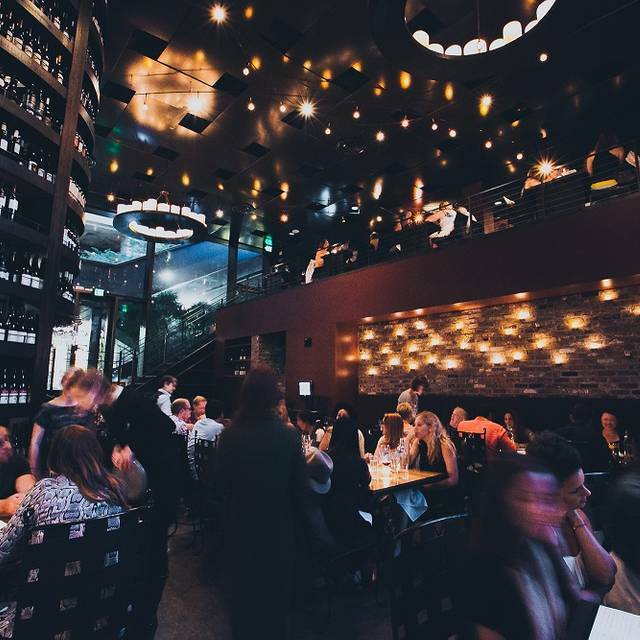 Purple Café and Wine Bar pairs a global wine selection with a menu that combines classic American styles with seasonal Northwest ingredients. We feature an expansive menu ranging from artisan cheeses, starters, soups, salads, sandwiches and pizzas to pasta and seafood. 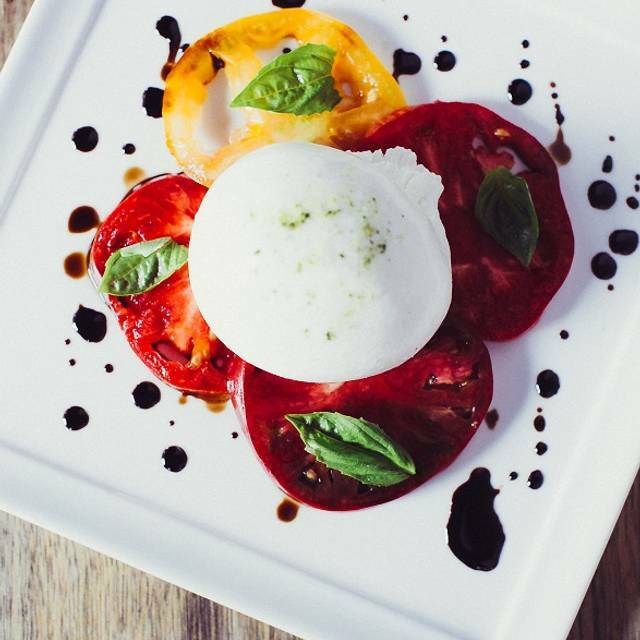 We take a great deal of pride in utilizing the most fresh and local ingredients. 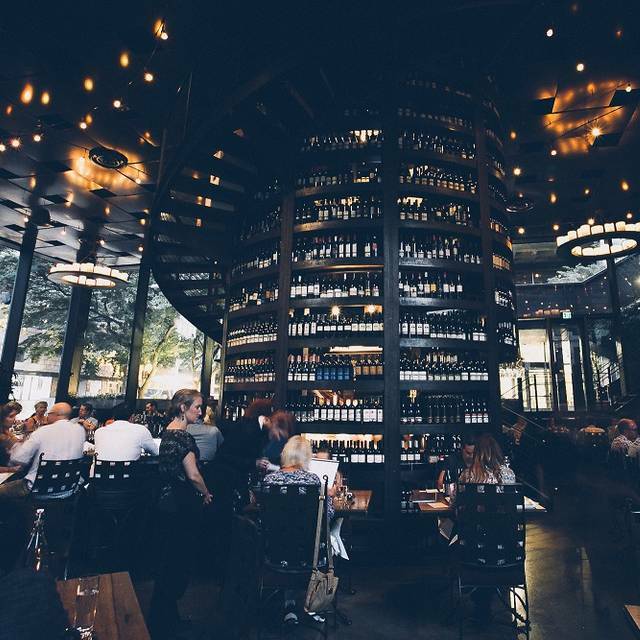 On the wine side of things our wine list features over 80 glass and 600 bottle selections. 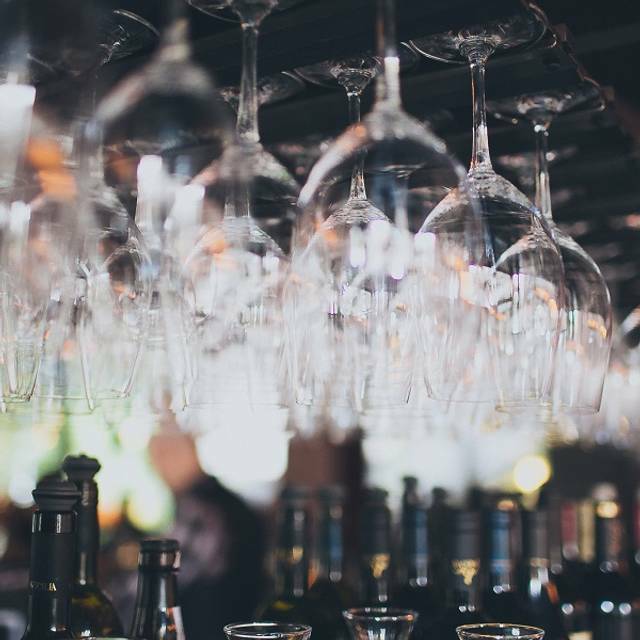 Over the years our wine program has been recognized with various accolades that include an "Award of Ultimate Distinction" from Wine Enthusiast Magazine and being named "Best Wine Bar" by Evening Magazine's Best of Western Washington Viewers Poll. We offer a semi-private room for up to 20 people seated or 35 for a stand-up cocktail style event. Please call for details. We offer a variety of box lunches and a la carte platters; great for corporate events, parties, picnics and other get-togethers! Orders are available for pick up and we ask for 48 hours’ notice on all pick-up orders to ensure availability. Large orders may require additional lead time. We are available to place phone orders or answer any questions Monday-Friday 9am to 5pm. Please call 206.855.6118. Parking is available in the Financial Center Parking Garage located directly underneath our restaurant on the corner of 4th and University. Once on University Street heading East, the garage is on your right hand side just after 3rd Ave and before 4th Ave. Parking is available throughout the day; prices vary. After 4pm parking is $5 with validation from the front desk 7 days a week. So disappointed by this place the food was terrible and the service was sub par. This was probably my sixth time to Purple in Seattle. I currently live in MT, so was excited to re-visit this location with my parents who had never been. Unfortunately, I won't be back. For the price tag of $170 for three burgers, one pasta and drinks, the service was very poor. I can only assume that this is associated with the automatic 20% service charge added to the ticket. I'm not sure who our server was as the gal who took our order never introduced herself. My dad requested that his burger be prepared without any condiments, but it was not prepared this way. It was a very bizarre interaction and since the restaurant options in Seattle are endless, I'm disappointed that we spent the evening here. On a positive note, the Italian red flight and vegan Impossible burger were delicious, but overall, there are other options in Seattle that would provide a more enjoyable experience. Bummer. Amazing night, great food, and service highly recommend. Great food. Hats off to Chrissy for phenomenal service. Great for lunch and a big selection of wine. 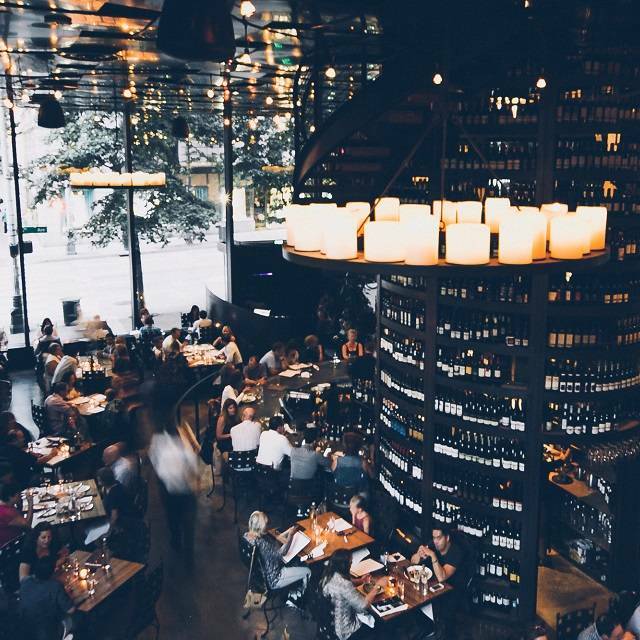 This restaurant is in the heart of Seattle. My recommendation, take an Uber to get there. This place is fabulous and the food & service is excellent. My boyfriend has never heard of Purple Café and I thought I would take him there for a date night. He was impressed and LOVED the food. He doesn't drink wine and I got him to drink the Purple Café private red Pinot. He loved it and ordered two more-lol. Thank you Purple Café for making this date night memorable. Purple Cafe and Wine Bar has been a longstanding favorite of mine. I enjoy their culinary creations that seem to be fresh and tasty. Their menu is seasonally influenced so one of my favorites was not available, however, the soup and salad combo was delightful. Great place, good menu exceptional service. Loud but good atmosphere. It was great! This is another 30 characters so my review is longer! Best Gorgonzola bacon dates imaginable. Terrific wines by the glass, and helpfulwIters to curate the list. This was an amazing place! The food and wine were full of flavors. The food was amazing! We had brie appetizer which was outstanding, i had lobster mac and cheese, and my boyfriend had the seafood stew which was also great but a little bit on the lighter side. For desert he had crem brûlée which was good, and i had the peach galette which was amazing! Highly recommend. Only complaint is that tip is included in the bill, and we did not feel our server deserved 20% tip. Seemed over priced for what we received although the food was delicious. We were also charged an automatic 20% gratuity even though it was just the two of us. I understand that was recently enacted in order for some restaurants to stay afloat with the higher minimum wage but I dont remember seeing this posted anywhere nor were we made aware by the staff. And none of the other restaurants charged this fee while we were in Seattle. I dont mind paying a tip but it should be my discretion as how much. 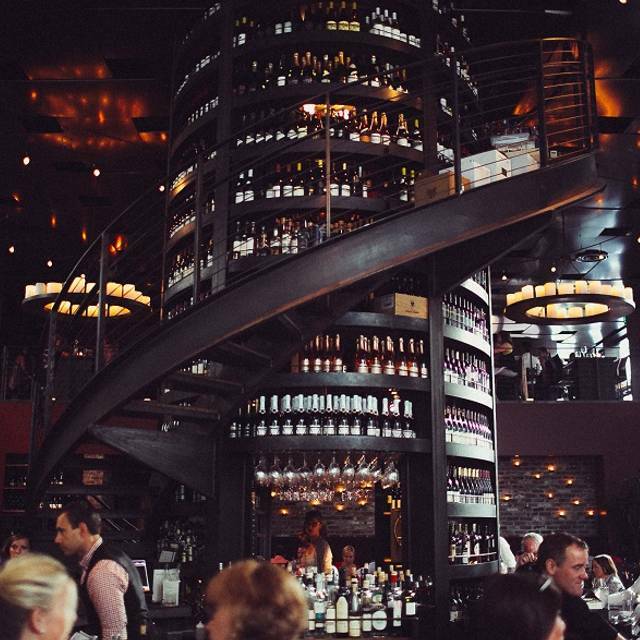 Really cool tower of wine and spiral staircase that makes up the centerpiece of the restaurant. Great experience from the time we walked in till when we left. Food was amazing, wine list and recommendations were fantastic. I recommend trying a flight. The chicken liver mousse and baked Brie were phenomenal and would go back just for those two dishes alone. Overall wonderful dining experience and plan on going back and bringing more people to introduce them to this spot. I always sit at the main floor bar. Jim and Earl are wonderful. Great wine, great service, really delicious food. Don’t know what I’d do without Purple downtown for business and pleasure. After a 30 minute wait we received our food ..cold. After another 30 minute wait we received our re-made lamb burger and crab cakes. Not much warmer than first time around and the prep of the lamb burger was different and cooked well but cold. The fries ranged from burnt to oil soaked. The crab cakes were tasteless and what little flavor there was more of other crab vs dumgemess although blending of other crab was not mentioned in menu. The Purple team, to a person, was professional, accommodating and empathetic. Our server was fantastic and the manager was very apologetic and bought us a round of wine for our trouble. The food here was disappointing overall. We would not recommend the beef tartare - it was unbalanced, tasting only of mustard and salt. We also had the calamari which had about two cloves of raw sliced garlic in it. The calamari itself was a little too chewy and this dish was also heavy on the salt. We then shared the prosciutto pizza which wasn’t great. The only savour was the delicious bread pudding for dessert. In addition, our server was slow and disinterested. 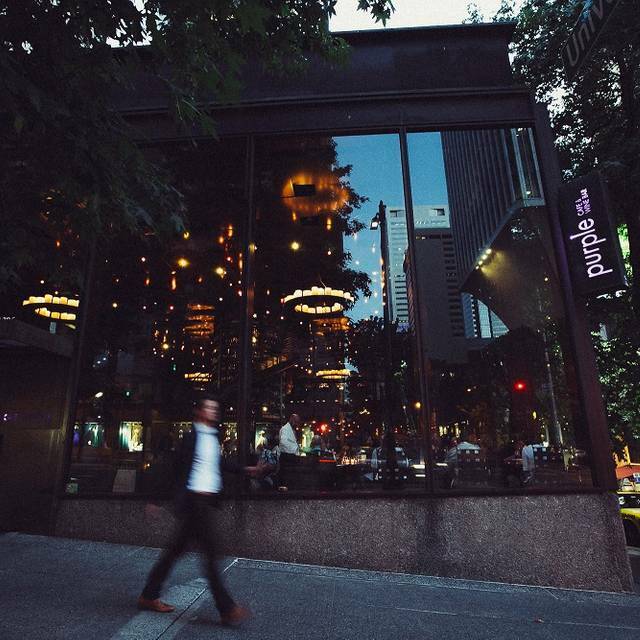 Purple is a downtown Seattle tradition by now and it shows in their professional presentation and overall ambience. Great wine list of course, way too big, but the waitresses and the bartenders both are patient. Pricey, but so is every decent place downtown. We'll be back next month! I always enjoy the food and the service is consistently good. I do find the noise level distracting and feel the need to nearly shout to have a conversation. As a result, I don't visit the restaurant as often as I otherwise might. Great food, great atmosphere, great fun!! I was celebrating my Birthday with friends and the staff, food, and environment were amazing!! Thank you Purple! Not entirely impressed with the food or service when we were there. I was there with my 13 year old daughter and we felt a bit forgotten when our server waited on two other tables with 5-6 people each. My halibut was pretty dry inside ($38! ), but nobody ever came by to ask how our food was. I just ate it. Also, while I appreciate the set 20% service charge to be split among entire staff, it seems like our server knew this and didn't have to be as attentive to us with no worries about tip. It was EXCELLENT in every way. Every one of the staff members were very knowledgeable, and courteous. Hats off to Chef Jamila Pryor! We will be back many more times!! Purple is a wonderful place to get out and guarantee that you'll have a delicious meal and fantastic service. 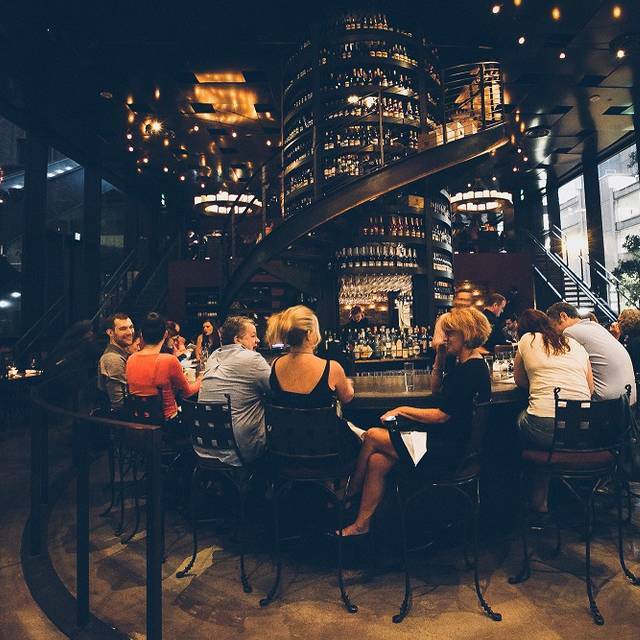 If you want to go light and just have happy hour drinks and snacks, you can definitely do that at Purple. 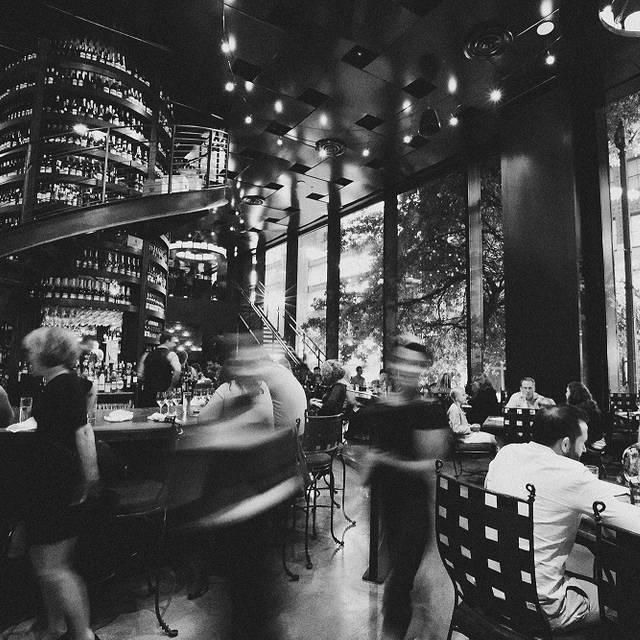 However, you need to make time to come back for a full meal and enjoy the recommended pairing wine with each dish. The chef is very creative with their flavors and they match the seasons perfectly. And the sommeliers do a great job finding the right wine to pair with each dish. And every time I've been to this Purple, the service has been amazing. You definitely are treated well during your visit. Excellent menu, and great wine pairing advice from Trevor, who made us feel like we were old friends. All fine. We arrived 40 minutes after the time we booked. I called ahead three things to let them know. All three calls ended up with voicemail. I don’t think they had picked up the messages by the time we arrived. They found a way to accommodate us. This was our second visit, this time meeting with East Coast friends. The place was full and busy, table was ready on time. The noise level was above my comfort level but we were still able to chat across the table. Three different main courses were ordered, all were good. My only negative comment relates to the 20% tip placed on the bill - the client should have the choice in this area. The servers had us standing at the entry way for over 10 minutes because we showed up to the reservation early. They were seating people who showed up w/o reservations prior to us. This did not reflect positively during the business meal. Food was pretty good. Our server looked happy to be there and happy to help. Wine was amazing and waitress had good recommendations. Love the ambiance. Overall good experience. Great place for a girls get together. We had family in town visiting and we appreciated the attention to detail for kids, especially the milk flight, without sacrificing the experience for the adults. There were plenty of vegetarian options on the menu, and the food came out on time, to order and it tasted nice for our guests. This is my third visit here for three different occasions and it has been perfect each time! I love it here. It is a must visit spot! Great lunch experience. Love the sherry-mushroom soup; wish they offered at each Purple location. Shared small plates with a friend along with complementary wine selections. Everything was delicious. We had endive salad, crab cakes, and a cheese/meat plate. Both of us enjoyed everything we tasted. Will definitely be returning. Highly recommend the crab cakes!! The baked Brie was also phenomenal!